Penthouse for rent in Tbilisi, in new building which is equipped with Control camera, Damafon, Gate for parking opens with remote control. The apartment itself is equipped with all necessary things: with washing machine, Microwave, Oven, Tv, Fridge, Hair dryer, etc. 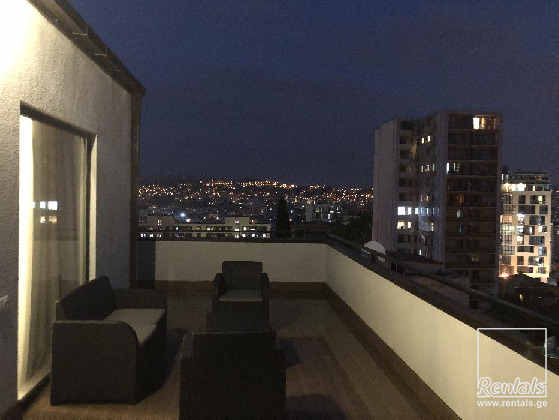 there is terrace of 50sq with beautiful city view. There are 2 bathrooms, 3 rooms, one main room and 2 bedrooms, one of them has own bathroom. Minimum period of rent is 6 month.